Carte Postale Tablecloth - 7 Ft.
Home > Coastal Decor > Table Top Linens > Carte Postale Table Linens > Carte Postale Tablecloth - 7 Ft. Accent your dining room with the Carte Postale Tablecloth - 7 Ft.. 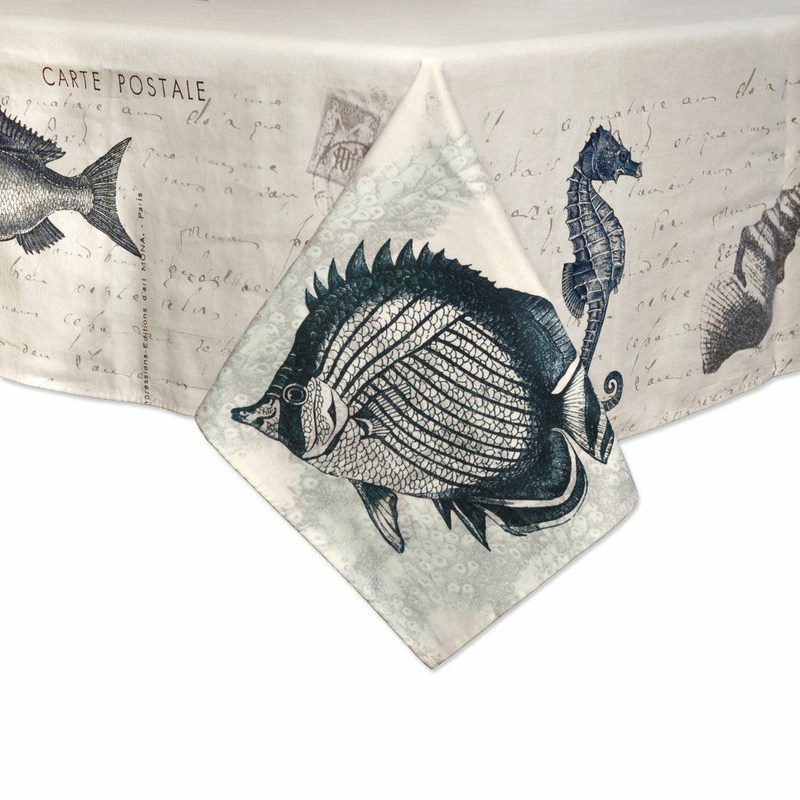 This tablecloth features a layered design of sea creatures, shells, and other coastal icons on a postcard background for a seaside addition to your home.